Fifteen-year-old Amadou counts the things that matter. For two years what has mattered are the number of cacao pods he and his younger brother, Seydou, can chop down in a day. This number is very important. The higher the number the safer they are because the bosses won’t beat them. The higher the number the closer they are to paying off their debt and returning home to Moke and Auntie. Maybe. The problem is Amadou doesn’t know how much he and Seydou owe, and the bosses won’t tell him. The boys only wanted to make some money during the dry season to help their impoverished family. Instead they were tricked into forced labor on a plantation in the Ivory Coast; they spend day after day living on little food and harvesting beans in the hot sun—dangerous, backbreaking work. 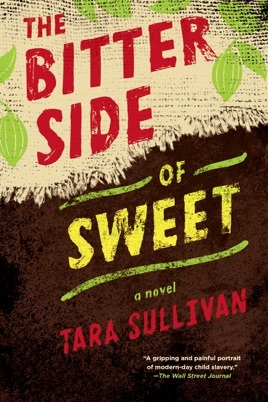 With no hope of escape, all they can do is try their best to stay alive—until Khadija comes into their lives. 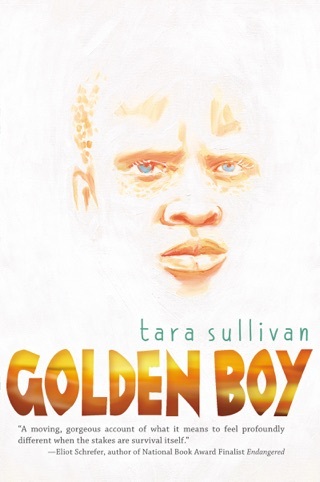 Sullivan (Golden Boy) shines a harsh light on the horrors of modern-day slavery through 15-year old Amadou's struggles to care for his eight-year old brother, Seydou, while farmers force them to harvest cacao on an Ivory Coast plantation. Amadou's understated narration accentuates his desperation: "I don't count how many times I've been hit for being under quota. I don't count how many days it's been since I've given up hope of going home." Tricked two years earlier into believing they had been offered seasonal work, the boys are locked in a shed at night, beaten for the smallest infraction, and punished with food deprivation. Escape attempts by a newly arrived 13-year-old girl, Khadija, inadvertently lead to Seydou suffering grievous injury. Terrified, but recognizing that Seydou will die if they remain enslaved, Amadou and Khadija make one more attempt at freedom. In a poignant scene later on, Amadou drinks hot chocolate, but gags when he realizes its source. His plea to Khadija's journalist mother to write their story, or "we won't have anyone to speak for us," underscores the disturbing realities underlying this heart-wrenching survival tale. Ages 12 up.